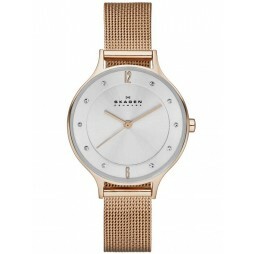 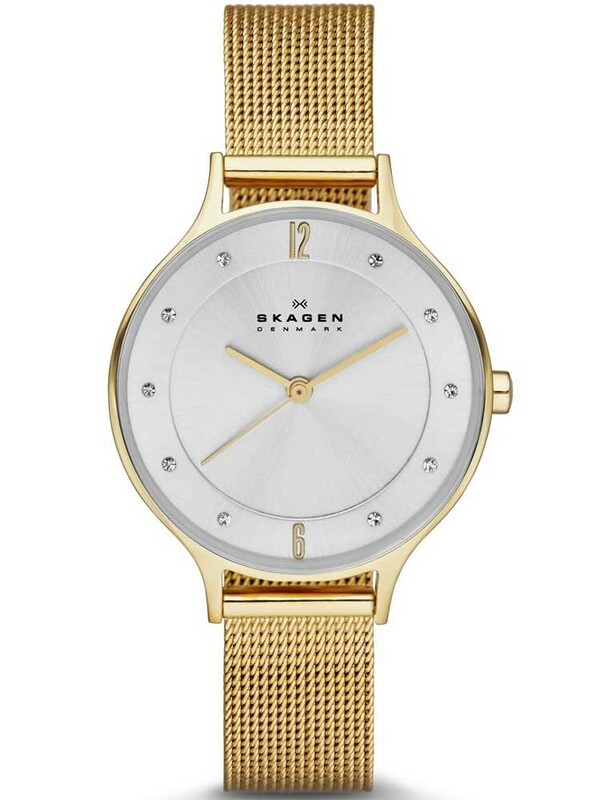 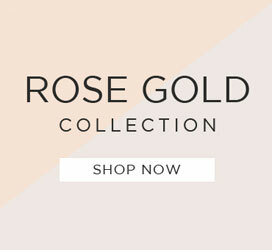 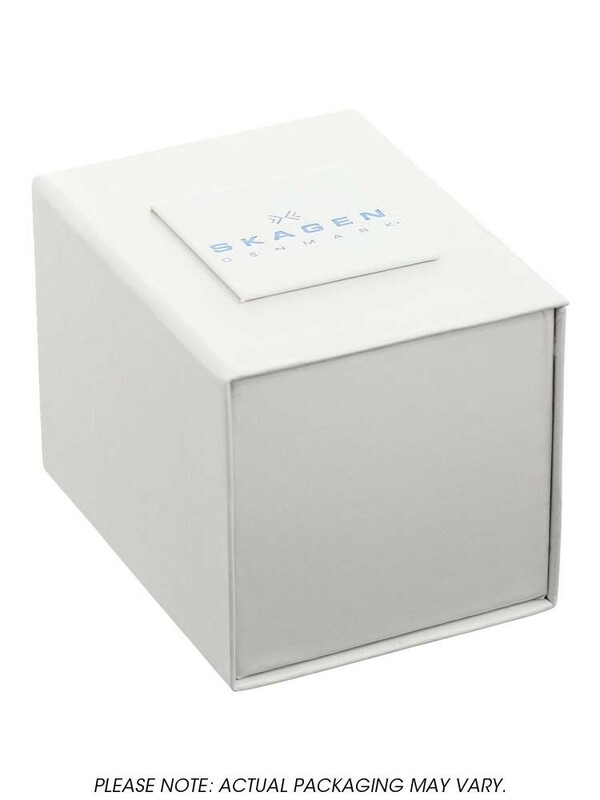 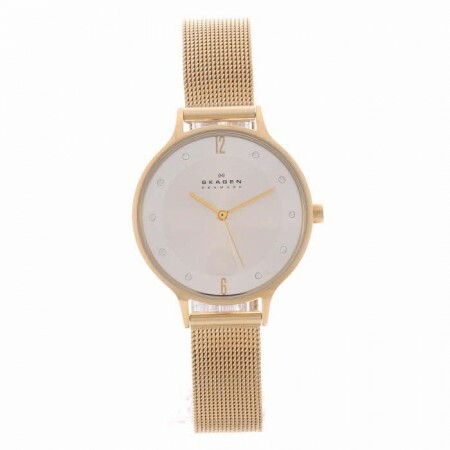 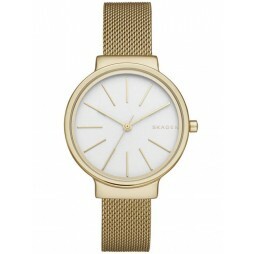 Skagen have crafted this beautiful ladies bracelet watch set in gold plated steel. 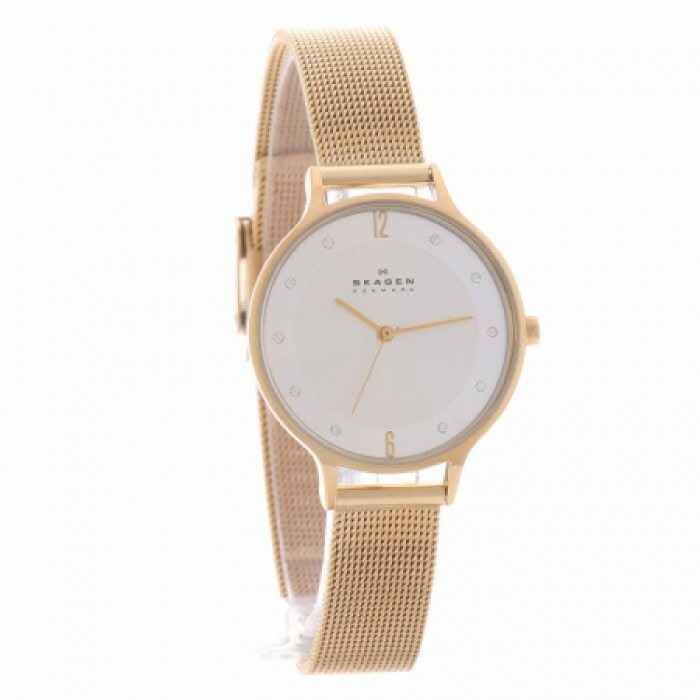 The elegant mesh bracelet holds a round white minimalist dial, featuring gemstone hour markers for extra glamour. 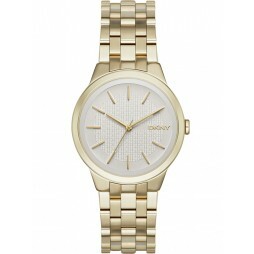 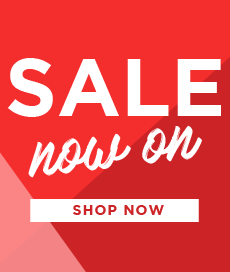 This timepiece would make a great gift for your loved one.